Interview with Christian Science Fiction Author Kathy Tyers | J.W. Wartick -"Always Have a Reason"
I am extremely pleased to be able to present my readers with an interview with New York Times-Bestselling author Kathy Tyers. Kathy Tyers has been instrumental in growing the genre of Christian science fiction and has published multiple books, including her award-winning “Firebird” series in this genre. She received the Mount Hermon Christian Writers Conference’s Pacesetter award for her work in developing science fiction. She has also published two Star Wars novels and appeared on the New York Times Bestseller list. She currently resides in Montana, where she continues to mentor other authors and work on her own future novels. I have written several posts on Tyers’ “Firebird” saga (click here and scroll down or see links at the end of this post), and have immensely enjoyed her works. What were some of the biggest science fiction influences on your writing? The first SF novel I devoured was The Star Conquerors, an early space opera by Ben Bova. I was also a big fan of Zenna Henderson’s “People” novels. The original Star Wars movies swept me away, of course. I discovered Lois McMaster Bujold’s Miles Vorkosigan series when the first novel came out, and I kept up as she released titles in the series. Whenever I’m called to teach the craft in a classroom, I draw on Orson Scott Card’s excellent book on writing SF and Fantasy. How has your faith inspired you to write? My faith inspires my writing as it inspires everything I do; it’s the air I breathe, the ground I walk on, the light by which I can see and the gravity that keeps me grounded. If ever I shut my eyes, quit walking and stop breathing, it surely shows in my writing. What do you think of the categorization of “Christian” fiction? Is it helpful to have a distinct category of “Christian” fiction? Some people want to know, before opening a novel, whether it’s going to challenge them to think more deeply about God. Should all fiction come with a worldview alert about the author? That’s probably impractical. But if I open a novel that I know was written by a fellow Christian, or by someone of another faith, of course I approach it with different expectations. What value do you think Christian speculative fiction has for evangelism, defense of the faith, and theology? Whether or not we see ourselves as evangelists, we’re ambassadors for a Kingdom that is not of this world. That applies to every Christian in every profession. An author who’s known to be a Christian will have his or her books analyzed accordingly by some of the reviewers. If the book survives scrutiny as a good witness to the craft and the Kingdom, AND if it’s a good story well told, the author has accomplished what good fiction is supposed to accomplish—even if it gets the occasional one-star review. How awesome was it to write Star Wars books? What is one piece of advice for aspiring writers? Writing will take more time than you could possibly imagine. Don’t use that as an excuse to stop reading, because you’ll unconsciously (or consciously) emulate the books you’ve been reading. So read the good stuff. What’s next on your plate? Any new books to look forward to? I’ve written a contemporary supernatural novel set in Montana that I’m looking into indie publishing. Just looking, so far. Haven’t decided. I would like to once more extend my thanks to Kathy Tyers for being willing to get interviewed for my site and for her excellent work in the field of science fiction. Kathy Tyers’ “Firebird” Trilogy- Faith, Humanity, and Conflict in the Far Future– The “Firebird” trilogy is one of my fondest memories of a read from when I was much younger. I recently re-read the series and was once more blown away. Here, I reflect on several issues of humanity and faith that Tyers raises in the novels. 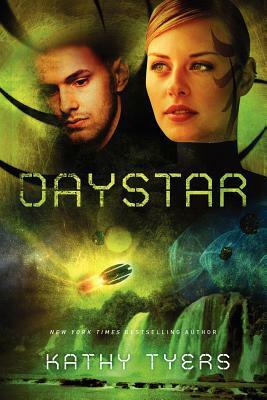 Enter [Science] Fictional Messiah- Kathy Tyers’ “Wind and Shadow” and “Daystar”– I look into several worldview themes that Tyers raises in these sequels to her Firebird trilogy. What would a Messiah in the future look like? Ok, I have been reading your reviews of “Firebird” saga these past several months, and I loved the the Star Wars movies (IV, V, VI) as well as several of the novels on Star Wars. You have convinced me to begin Tyers series. I will definitely read the first one and getting it going. Thanks for reviewing and interviewing her and bringing it to your readers attention. I hope you enjoy it as much as I did! Thanks for letting me know I inspired you to read them :).